In this article, you will find natural face mask for oily skin in order to stabilize the production of your natural oil. The production of excess oil on your nose, forehead, face and chin can be caused by wide open skin pores. Oily skin can have many skin problems such as spots, acne breakouts, greasy lines and blackheads on your face. These are a couple of best natural face mask for oily skin recipes that you can apply in order to solve your oily skin problem. 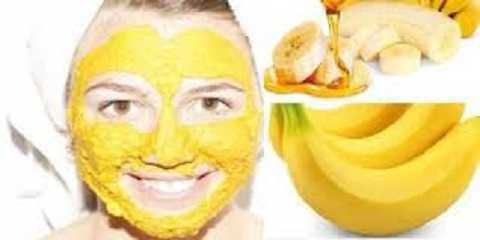 This natural fruit face mask for oily skin works well on for those of you who have oily skin. You can prepare 1 tablespoon, 1 fully ripe banana and an orange or lemon. First of all you can keep ripe bananas in a fridge which you can apply later. But before using it you have to thaw it. And then, you have to mash up the banana and the honey should be added in. They can also be blended in a blender. Mix a couple of drops of juice from a lemon or an orange. You can apply the face mask on you face and wait for about 15 minutes before you are cleansing by using a cool washcloth or a steaming warm washcloth. Bentonite or green clay is a perfect natural homemade face mask for oily skin and greasy skin. Talking about the clay masks, green clay is the better of them all. Take 1 teaspoon of apricot kernel oil, 1 tablespoon of green clay and 3 drops of palmarosa essential oil. These ingredients can be taken from health store or a natural food. These ingredients should be mixed together. Mix in a couple of drops of warm water. You can also add in a little bit more of warm water in order to make a spreadable and consistent paste. You can use this face mask and let it dry for about 10 minutes. This type of natural face mask is very good in order to soak dirt and oil from your oily skin surface. You can make it at home with multani mitti as a basic ingredient. First of all you have to soak 2 tablespoons of fuller’s earth in warm water for about half an hour. And then you have to mix in one tablespoon of rose water and a couple of drops of lemon juice.